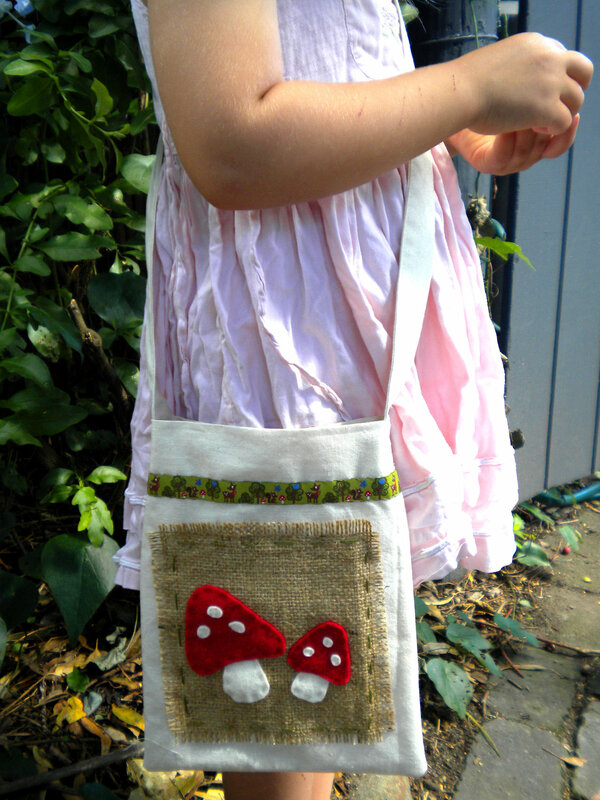 A gorgeous little handmade tote bag for someone little to carry their precious things. 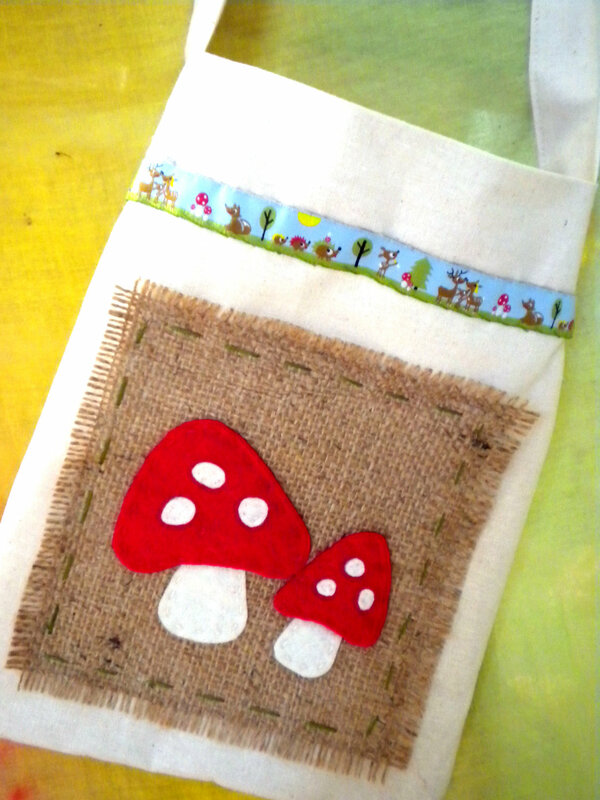 Hand-sewn natural calico bag measures 24x18cm (9.5x7inch) with 84cm (33inch) handle. 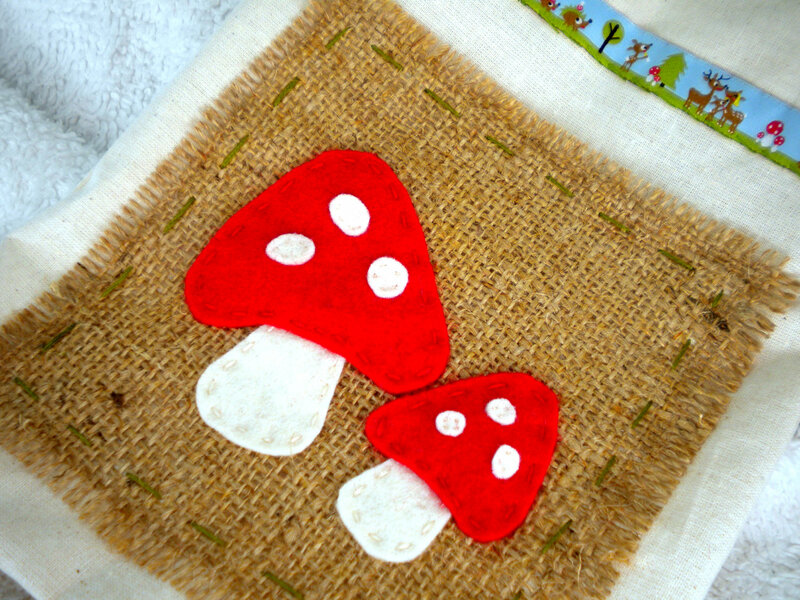 Delightful felt toadstools hand-appliqued onto hessian square with whimsical woodland trim. 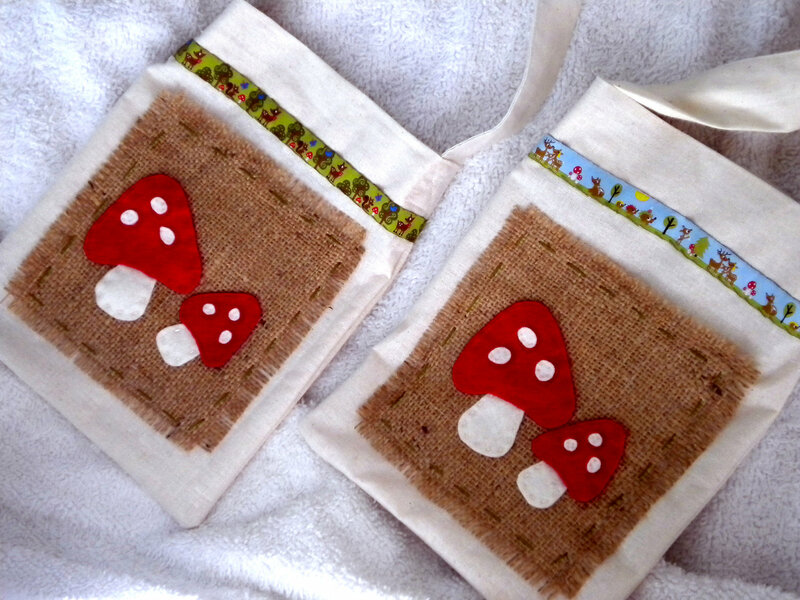 Being handmade, items may vary slightly from those pictured. Hoping for something bigger, or smaller? 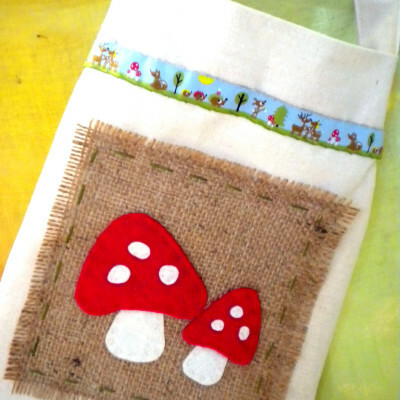 We’re happy to custom-make to your requirements – just contact us.